To possess good team leadership skills means being creditable and trustworthy. People want a leader with creditably and they want a leader they can trust. How many times in your career have you had a boss you felt you could trust completely? Either or, both experiences make a lasting impression on your ability to work well within a team setting. Your company must develop and promote leaders who have impeccable credibility and a keen sense of purpose. . . those forward looking leaders, who have a natural grasp of where their team is headed, and how to get there. Those leaders with a vision for their team derive meaning from that vision and allow it to blossom into a fully developed concept. By capturing the core of this idea, transferring and encouraging this process in others, you encourage other leaders to develop a nurturing inspired culture full of ideas and vision. Fostering a culture of ideas gives meaning to the everyday working lives of those individuals who work within that team setting. But to inspire others we must first believe and be inspired by our own vision for the future, that is the key to developing team leadership skills. We want to find and promote individuals who are internally motivated to succeed. Find and develop those rare few folks who can both get behind an idea and develop their own passionate vision for the future. These type of people work diligently toward your team's goals simply because they believe in the vision and want nothing more than to see it fulfilled. Not because they're externally motivated by money or prestige. Internal motivation takes fortitude and guts to stand in the face of difficulty. Developing your own team leadership skills is a process of separating the wheat from the chaff. By staying true to your vision for the future and holding your ideals in the forefront of your mind, you inspire other leaders to stand up and identify themselves. They in turn naturally develop their own team leadership skills and proficiencies. This is key to building a diverse leadership team. . . everyone having their own set of strengths. Leadership facilitates others to develop themselves. By asking good questions of your team, you help them clarify their thoughts and think critically about the answers. You also help them develop their self-worth. By opening up these lines of communication, you grant others (leaders in training) the permission to seek out their own answers via their own free will. And with these open lines of communication you find your desired answers and solutions in others. I hold an optimistic view for peoples' ability to become leaders outside the tyranny of stupid rules and nonsensical laws. If you want to build team leadership, and encourage personal growth within your organization, you must hire people who own their positions when given meaningful work, clear direction, and the trust to carry it out. Finding the right people to lead is probably the biggest step, and biggest challenge to building a team with a clear sense of identity and a vision of where it's going. "Most hierarchies are nowadays so encumbered with rules and traditions, and so bound in by public laws, that even high employees do not have to lead anyone anywhere. . . Such employees lead only in the sense that the carved wooden figure head leads the ship." Peter and Hull are right. The herd mentality runs rampant and unchecked throughout the corporate world. Great leaders devote their time to developing more, better quality leaders. Because leadership is the springboard that gives your team leverage. By creating leaders out of rank and file team members, you develop leadership that understands what it's like "on the ground," in many cases these leaders make more reasoned decisions, and responsibility for their actions. If your team misses a sense of direction, your leadership probably misses the core idea that represents what you and your business stands for. Every move your organization makes is preceded by an ungodly amount of decision making and planning. Despite all the planning, remember the old Army saying: "No plan survives contact with the enemy." Despite all the decisions and team leadership skills that goes into your strategy, your business operates in the real world, against other real businesses with leadership and teams of their own. To win this we must ingrain the core idea into the minds of our entire team, while giving people the room to think, act, and perform freely. Always keeping the core idea in mind, better, more relevant decisions and more goals achieved. How do you get to the core of your ideas? There are companies that personify a core idea: Southwest Airlines: "The Low-Fare Airline." They have the lowest fares on commercial flights in the U.S. Period. That's their core idea and every decision the company makes is filtered and judged by it. Following this type of singleness-of-purpose starting with your team leadership skills. This minimizes confusion and maximizes results as the idea spreads throughout your organization. If an proposed idea doesn't meet the criteria of your "core idea;" don't do it. Simple. People gravitate toward complexity, and complex ideas because there is safety in them. You can't get pinned down for an answer. You're safe because you can hide in semantics and vagary. In Chip and Dan Heath's great book, "Made to Stick" there's a great example of leadership team building from Bill Clinton's 1992 Presidential campaign. As you probably remember, it was a very complex campaign, coming right on the heels of the Gulf War. A campaign marked by rumors of Bill Clinton's escapades with women not named Hillary. A simple phrase captured people's attention and took the focus off the candidates and put it squarely on the issues that were important to the people of the United States. "It's the economy, stupid." James Carville's simple phrase clearly focused what Clinton stood for in the eyes of the voters and took their gaze off everything else. This is pure leadership. Influencing people to follow you despite your flaws. The phrase stopped Clinton's camp from sending mixed messages to the American voters, and allowed people to "pin down" what Clinton stood for. 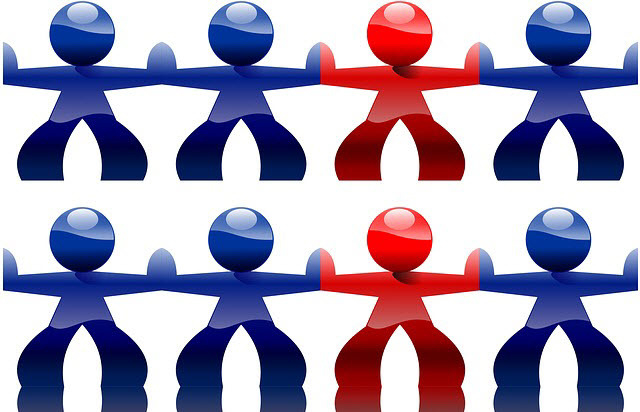 Building team leadership skills is similar in many ways to a group of voters. Some are in your camp by default, some are undecided, some people are rooting for the other guy, and some want you dead (let's hope not). Leadership team building is about sending a clear message to your team that allows people to understand, be influenced and inspired, and to "buy in" to what you're doing. To improve your team leadership skills develop your ability to model the way things should be done. This makes you self-aware. As we said, credibility is the core of leadership. People really appreciate self aware leaders. Are you living up to the ideals of your vision? Is your team? Doing a daily audit to make sure you're on the right track and you're setting the proper example of "correct behavior." By following these simple leadership skills, you model the way and inspire others to greatness. As the leader you reward the right actions and correct wrong actions. Most importantly you lead by modeling the way. This way, others learn and repeat this too.